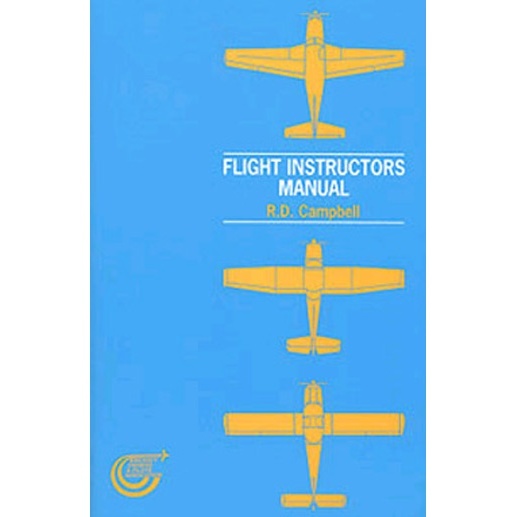 This book was written specifically for the training of flying instructors by of the UK's most experienced instructors and examiners of Flying Instructors. It covers the content of the flight training sections in the PPL and Flying Instructor rating syllabus principally in the form of 'long briefings' for the flight exercises. This classic text has become the flying instructor's 'bible'. Specifically written to cover the content and sequential layout of flight training sections in the UK Private Pilot's Licence syllabus and the UK Assistant Flying Instructor syllabus. Primarily for the use of the flying instructor under-going training, but also useful when obtaining experience in the instructional role. The book is divided into a series of air exercises, each containing a guide to the instructor, a long briefing, a pre-flight briefing and a flight demonstration. The late Ron Campbell, Executive Chairman of AOPA UK, was a member of the ECAC Working Group and JAA Flight Crew Licensing Commitee responsible for the harmonisation of pilot training and licensing in Europe. Pamela Campbell, who has also contributed to the book, is a former commercial pilot and flying instructor and is currently the International AOPA delegate on the JAA Flight Crew Licensing Commitee.